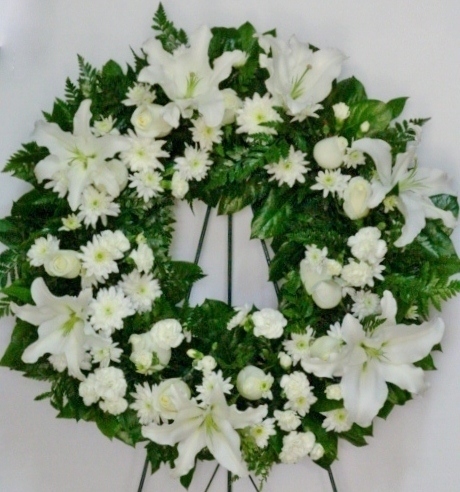 More poise than fanfare, this wreath suits the gentleman or lady you are honoring. Deluxe Wreath includes 35 stems. Premium Wreath includes 45 stems.